Vinhomes, the real estate arm of Vingroup JSC, listed 2.68 billion shares on the Ho Chi Minh City Stock Exchange on May 16 under the ticker VHM. The company expects to garner attention from foreign investors. Vinhomes JSC is now the largest real estate developer in the Vietnamese stock market with a gigantic market capitalisation of $13.5 billion. The initial price this morning was VND92,100 ($4.06), which flew to the daily ceiling price as soon as trading began. Upon Vinhomes’ listing, the Ho Chi Minh City Stock Exchange (HOSE) saw its total market capitalisation go up by 10 per cent. Vinhomes is now the second largest listed company on the bourse, surpassing other giants like Vinamilk or Saigon Beer. Vinhomes currently enjoys a 15 per cent market share in the Vietnamese residential apartment sector and 48 per cent in the premium segment. The firm is now carrying out projects in 40 cities and provinces across Vietnam and it is reported that Vinhomes has only used up 10 per cent of its 16,000-hectare land bank, most of which is located in prime locations. “The initial listing price is reasonable for a leading company like Vinhomes, and I expect its stock to rally at least in the first few days of trading. The fellow stocks of the Vingroup family like VIC or VRE have become quite expensive, so the first-day trading price of Vinhomes can be appealing to investors,” Nguyen Hong Khanh, head of research at Sacombank Securities, told VIR. The researcher added that together with VIC (Vingroup JSC) and VRE (Vincom Retail), VHM (Vinhomes) will create a lasting impact on the market, as the three stocks altogether take up 30 per cent of HOSE’s market capitalisation. The pre-IPO purchase of 5.74 per cent by Singapore’s sovereign wealth fund GIC will also draw the attention of foreign investors, said Khanh. Analysts expect mega-listings like Vinhomes to attract more capital inflows into the market, especially from overseas investors. Chau Thien Truc Quynh, director and head of local brokerage at Viet Capital Securities, noted that more companies will also be encouraged to list directly on HOSE, following the footsteps of Vinhomes and Techcombank (soon to be listed). This listing wave will give investors more choices. “Companies with strong fundamentals like Vinhomes or Techcombank are likely to lure in capital for the stock market. This will be a highly positive effect for Vietnam,” said Quynh. 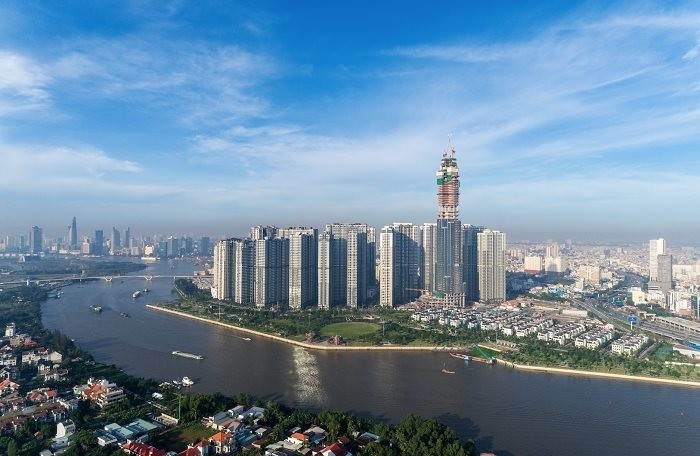 In the first quarter of 2018, Vinhomes reported VND10.53 trillion ($462.6 million) of net revenue, tripling the previous period in last year. Its after-tax profit stood at VND3.98 trillion ($174.8 million), or five times higher than last year.